Amy Tillerson-Brown, an associate professor of history at Mary Baldwin College, will speak on “Black Lives Matter: Movement and Misconceptions” at 7:30 p.m. Tuesday, Feb. 9, in the Boitnott Room at Bridgewater College. At Mary Baldwin, Tillerson-Brown teaches courses in African American, United States, Women’s and African Diaspora history. She also directs the African American Studies and Public History programs. 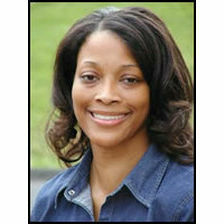 She previously was director of the African American Heritage Program at the Virginia Foundation for the Humanities at the University of Virginia. Tillerson-Brown has taught in the history departments at Virginia Tech, Morgan State University and Piedmont Virginia Community College. In 2013 Tillerson-Brown produced a documentary, Voices from Port Republic Road. The film focused on the experiences of Rosenwald School alumni and documented the interconnectedness of school, church and business in this mid-20th century, rural black community, along with the challenges of public school segregation and integration. She earned B.A. and M.A. degrees from Virginia Tech and a Ph.D. in history from Morgan State.